Planning teenage parties may be difficult because you want the perfect balance of a fun age appropriate party with a few special touches to make it feel more grownup. A dance party is usually a huge hit with teens. Depending on your party budget, you may want to rent a small community hall and a DJ. If your budget doesn’t allow for that, try setting up a dance club in your house with plenty of music for the teens to enjoy. 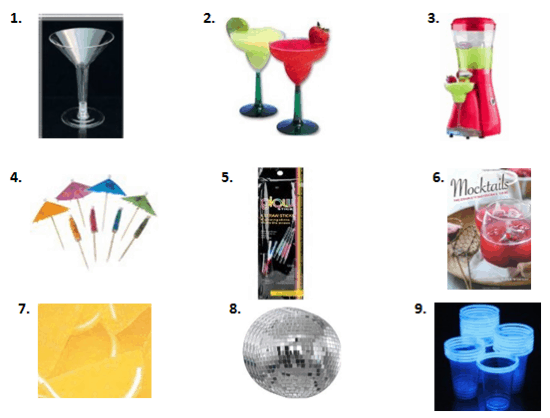 Setting up a mocktail bar along with recipes and ingredients is a fun added touch to the party. Here are some fun ideas for invitations, decorations, activities, food & swag bags. 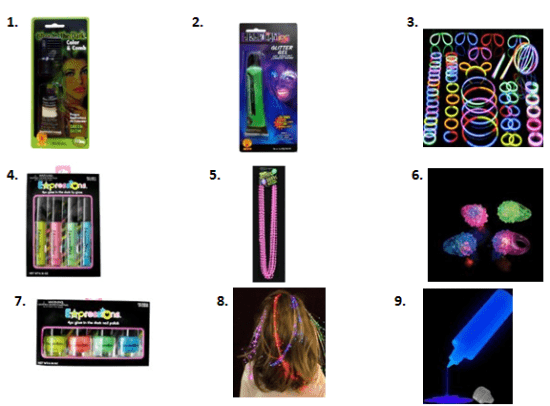 A unique idea is to set aside a dressing area with glow in the dark makeup, clothing & accessories that the teens can use for the party. 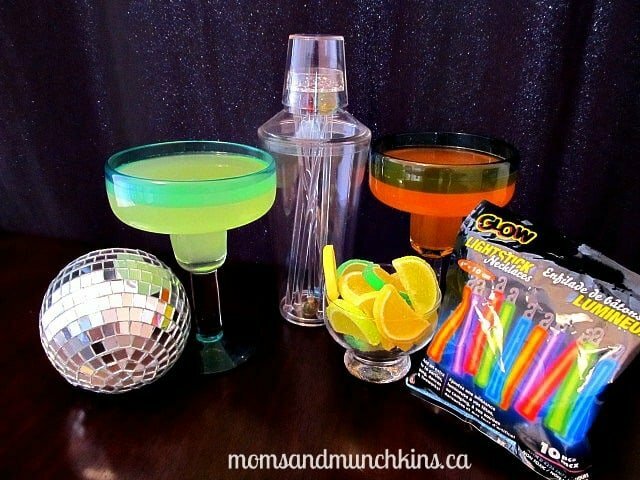 Click here for some fun mocktail recipes. Print these on index sized cards and laminate them so they don’t get wet while sitting up at the mocktail bar. Bite-sized appetizers (such as nachos, chicken fingers, jalapeno poppers, onion rings, etc.) are a good choice for a dance party since they are easy to make (just buy and pop into a toaster oven) and quick to eat. Set up a lounge area away from the dance party that is a little quieter where guests can visit and enjoy some food. This could be outside with lounge chairs & lanterns or in a separate living area with oversized pillows to sit on. What were your favorite types of parties as a teen? We’re always adding creative party ideas so be sure to follow along on Facebook, Twitter, Pinterest and Bloglovin’ for the latest ideas. *Disclosure: I am part of the Amazon and Tiny Prints, Inc. affiliate programs. Awesome ideas! This would be a fun party.